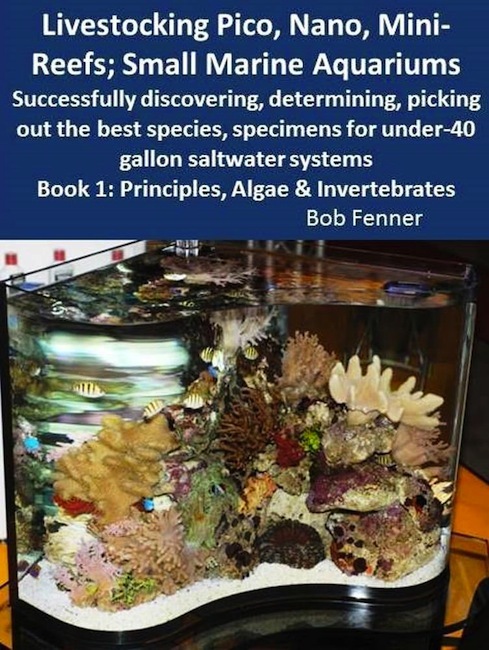 Our pal, and aquarium industry legend, Robert Fenner has a brand new book hitting the virtual store shelves. 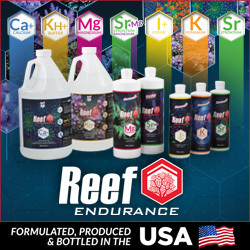 Focusing on small aquaria, his “Livestocking Pico, Nano, Mini-Reefs; Small Marine Aquariums; Book 1: Principles, Algae & Invertebrates” is a 106-page Kindle ready electronic book that is just part of a larger series of books that is set to be released. If the title isn’t a dead giveaway, the book will focus on the basics of keeping a small aquarium, with special focus given to livestock selection, algae and invertebrates. The book was published on October 1st by WetWebMedia and is listed on Amazon with a retail price of just $9.99. It’s not uncommon to find new books in electronic forms nowawdays. In fact, it’s probably a lot more common that having a print copy of the book. Regardless, this direction is probably one that most new aquarium publications will go. Publishing a book is very expensive, and going the digital route shaves off so much of the overhead that it just makes sense. Sure, you miss out on some of the less tech savvy readers, or those just preferring a physical book, but everyone is going to ebooks in this day and age. We fully expect to see more aquarium related books take this route, especially since the audience is much smaller than other “self help” sort of books.